Every week we’ll round up some of the best recipes, food writing, cooking tricks and drinking tips that every college student should know about. Here’s what’s cooking in virtual kitchens around the web this week. It’s back to school for the second semester so here are some staple recipes to start you off on a good note! One staple every college student should know is how to make a great roasted chicken. 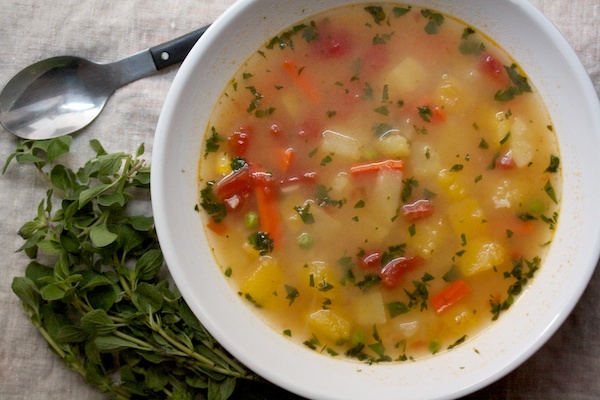 Soup is my favorite winter food, and these tips are perfect for you to create your own staple soup. Roasted veggies are ubiquitous in winter and the flaxseed in this carrot dish gives it a whole new twist! And finally, I defy you to find a better or more useful staple than chocolate chip pumpkin bread.